RollerCon this year was amazing! We made it out to Vegas, we survived the staggering heat, and we made it back to Colorado. Now it's time for a recap. First, my thanks go out to the organizers of the event--they really put on a great show. Everything from registration to security was tip-top, and all of the staff and accommodation felt very-well organized and thoroughly professional from start to finish. We were particularly pleased with the ADA accommodations, both in the venue at large and at the actual derby tracks. Not everyone goes the extra mile like that, and it was certainly noticed and appreciated. For my part, it was really exciting to see how far the skate technology has come in the last few years. All the other vendors I spoke with seemed very knowledgable and the level of the gear is both fully and obviously professional-grade equipment. Our partner and 'Chicks in Bowls' resident guru Joanna Gruesome and her spine ramp class know how to pose for a picture! Those folks should really give themselves a pat on the back for the amazing job they've done developing hardware for that industry--really impressive stuff. As for Hypatia's booth, I couldn't be more excited. We attended this event as a kind of outreach to the Derby and Bowl skating communities, and we felt very welcome the whole time, and we were very pleased with the community's response to our products, our company, and the ethos we're trying to build. Literally hundreds of people came through our booth and shared their stories about how hemp extracts have helped them, and the Californians who stopped by seemed particularly taken with our lower price-points than they were used to back home. Many hundreds more just stopped by to check out our booth, play our ski-ball game, and otherwise just say 'hello.' It was a lovely experience and it was really great to see so many people enjoy the ski-ball we built special for the event. Several people got the hole-in-one and walked away with a free bottle of our Hemp Extract Oil or a jar of our Send It! Salve. One skater in particular got the big prize first try. Here's our first "First-try, hole-in-one" skater flexing at her brilliant shot! With marijuana now legal in Nevada, there was still a bit of confusion about whether we were a hemp company or a marijuana company, but that's nothing that a quick chat can't fix! We talked to lots of folks who had heard lots of different things, both about hemp AND marijuana, and it was really nice to be able to chat with them to help clear up some of the confusion and answer lots of their questions. We're really excited to have gotten such a warm reception from the Derby and Bowl skating communities, and we're really looking forward to developing a long-lasting relationship with everyone we met at RollerCon. Start the clock for the countdown to RollerCon 2019! We'll be there for sure! To everyone who stopped by our booth: thank you so much! Be sure to reach out, keep in touch, and let us know how things are going! We really want to hear back from you! Finally, I just want to thank my partners at Hypatia who really dug in and showed some real grit when it was time to get everything done for this event. Couldn't be happier, and we couldn't be more proud of you! Thanks so much, everybody! 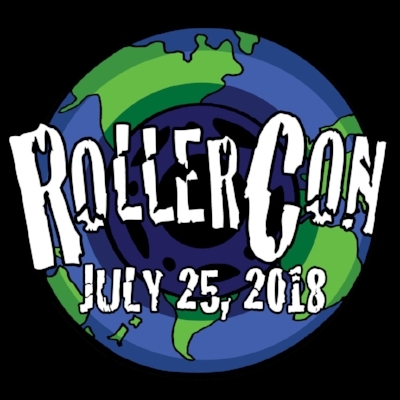 See you at the 2019 RollerCon!